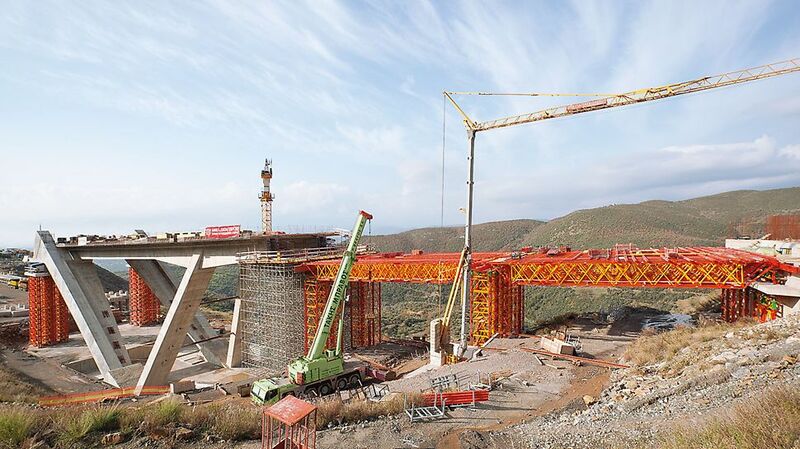 With the PERI VST heavy-duty shoring tower and the VRB truss girder the concreting loads of the bridge superstructure can be safely transferred along very large spans. 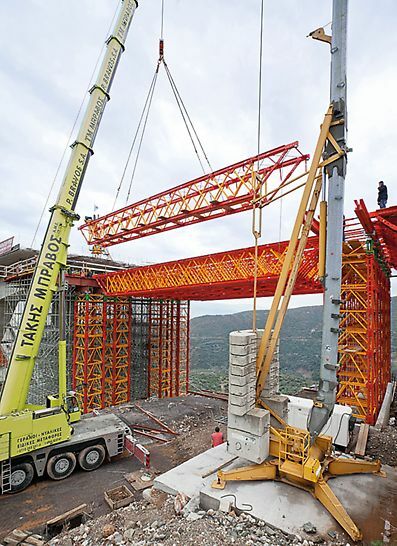 The heavy-duty shoring from the VARIOKIT engineering construction kit allows for efficient solutions, not only for building bridges but also for special applications in industrial construction. 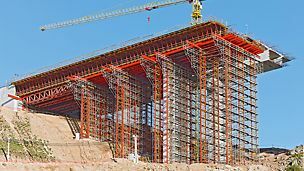 The high load-bearing capacity and the structural optimization help to reduce the quantity of required on-site material. 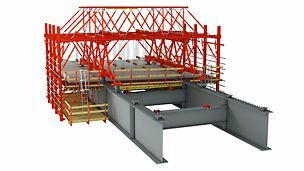 Rentable system solutions fulfil the most varying project requirements. 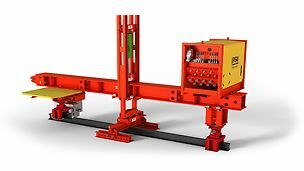 Fast and simple assembly with fitted bolt connections. 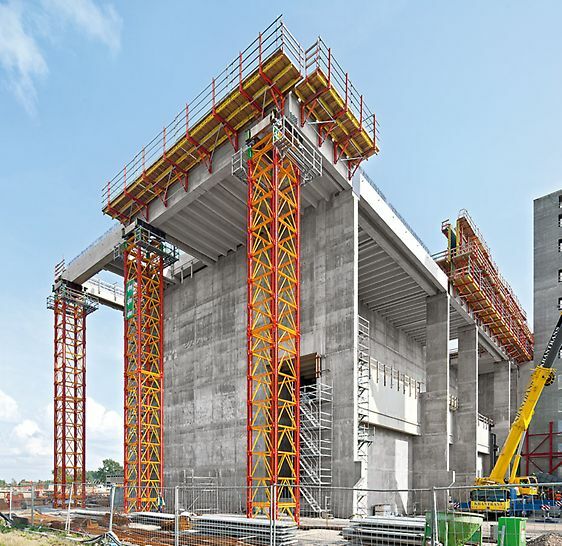 In areas that have to bear heavy loads, the load-bearing capacity can be doubled in-situ through the use of plegs. 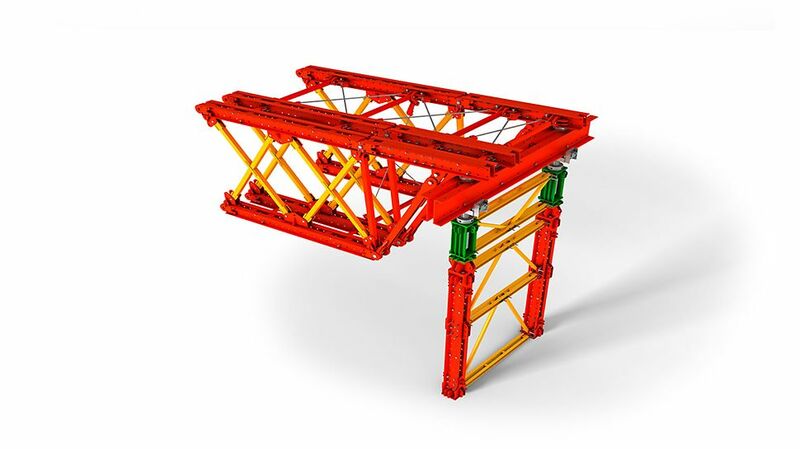 Single towers can also be attached to the frames and this enables them to achieve a noticeably higher cross-sectional stiffness in one direction. 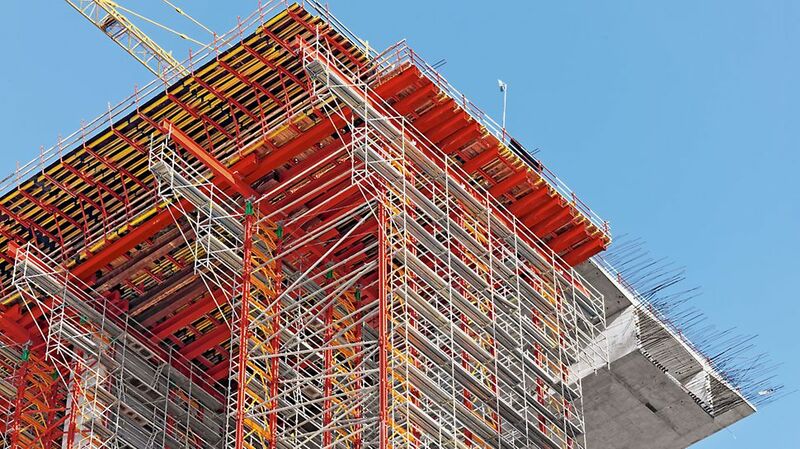 By connecting individual shoring tower frames, it is also possible to increase the cross-sectional stiffness in the second direction. 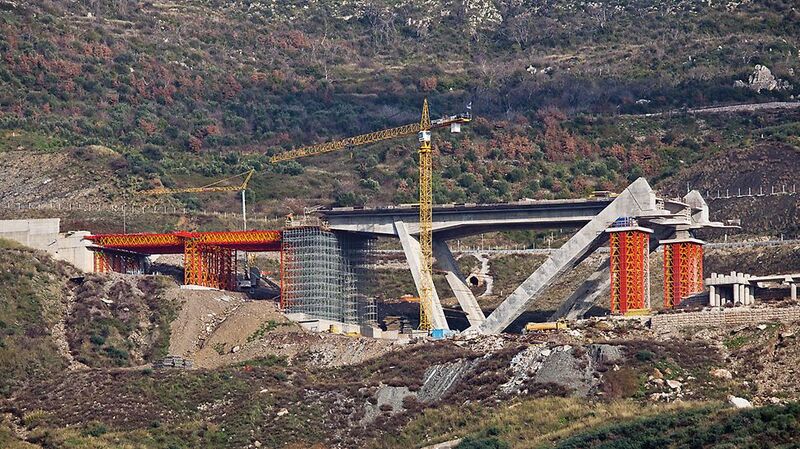 In the area of abutments and piers, the system can also be implemented as main beam frames up to a height of 10 m, but only with the head support. 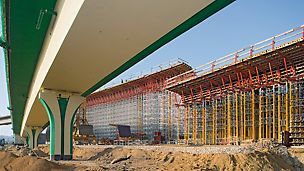 The system is supplemented by PERI UP which provides safe access. 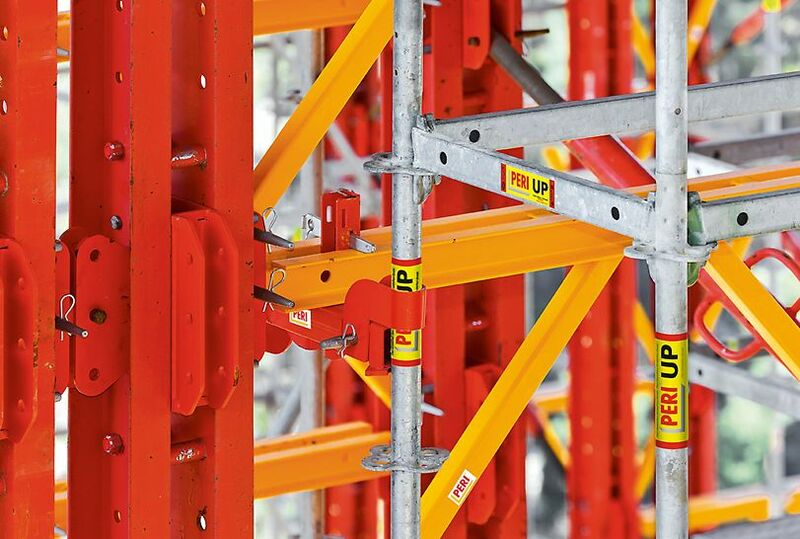 With the graduated lengths of the RCS rails, two compensation elements and the head spindle, all heights are continuously realisable. 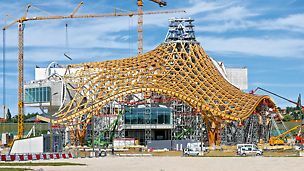 The system consists of different types of load and length optimized frames, which enable to continuously create every span with the corresponding combination. 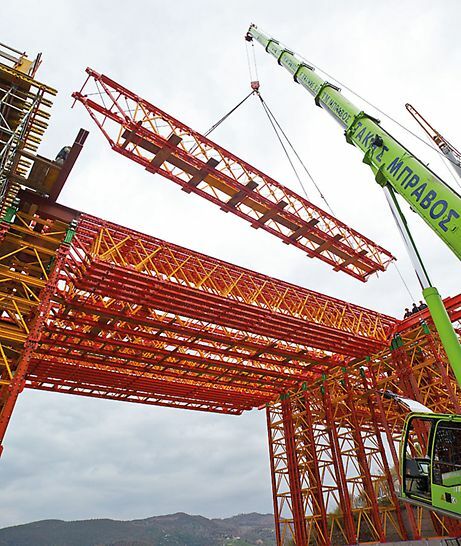 Standardized and centric connection of horizontal and vertical bracings enable optimal utilization of the load bearing capacity and lead to efficient material input. 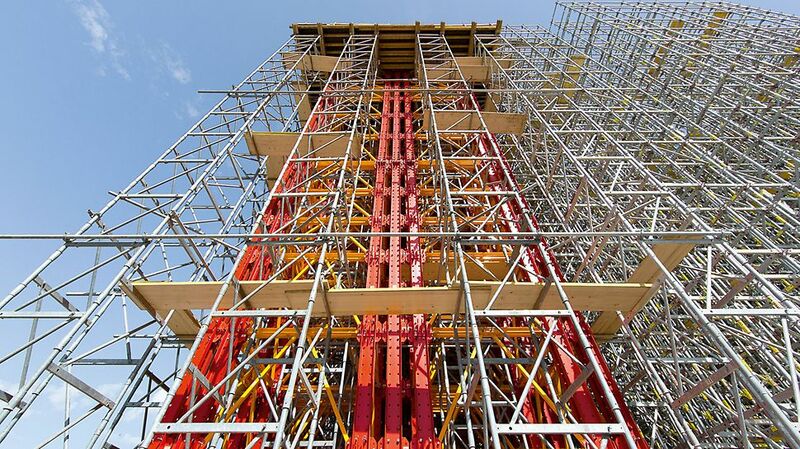 The PERI UP modular scaffold is used in order to ensure safe access across the whole span.